Goodness... 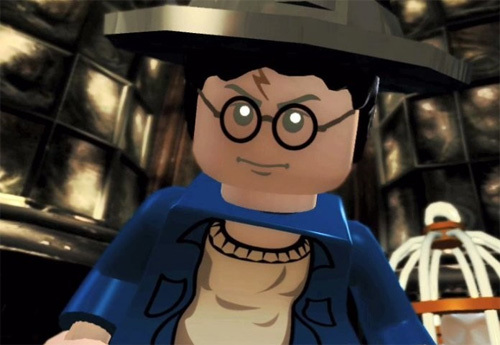 I have not had this much LEGO fun since LEGO Star Wars and best of all, the game has more Harry Potter references than you could poke a want at. 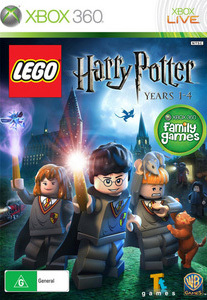 Although the game is aimed at the younger player, older fans of Harry Potter will still enjoy this current LEGO instalment as you visit a variety of destinations, meet familiar faces and explore this magical universe in true LEGO fashion. Of course, what made the LEGO games so enjoyable was the simplicity of the gameplay merged with popular universes such as Star Wars, Batman and Indiana Jones. The two aforementioned games worked quite well, however Indiana Jones failed to meet the familiarly of Star Wars or Batman. Based on the first four books, the game looks, sounds and feels like a Harry Potter game. Seeing all the wonderful LEGO incarnations of these Harry Potter characters is brilliant such as Harry, Hagrid, Ron and Hermione to name a few. Like the LEGO games before it, there's plenty of comedy throughout the game, especially with some of the exaggerated LEGO talk conversations and body language. 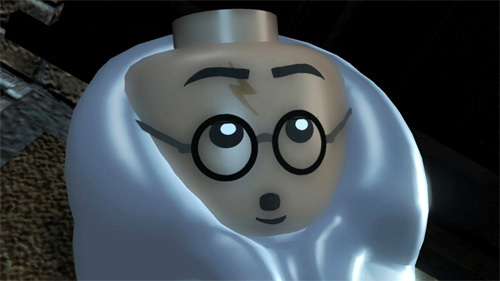 Incorporating a variety of elements from the novels and films, LEGO Harry Potter is more of puzzle adventure game as opposed to an action game. 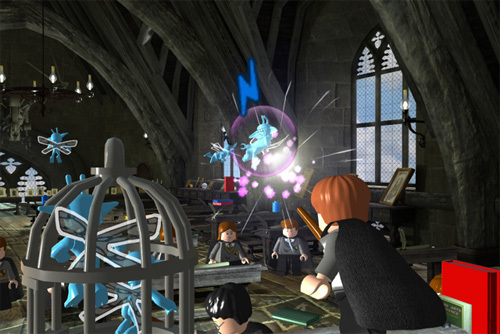 Whether playing solo or with other gamers, you need navigate the Harry Potter characters through the LEGO world in order to solve puzzles, explore and of course fight. Thankfully you have some spells that come in handy but for the majority of the game, you spend the time finding out how to solve your current puzzle predicament and many of these require other LEGO characters to help. You even have to go through school, just like the books to learn spells and lore which increases your spells artillery. The gameplay is pretty much identical to the previous LEGO games and although it works as a single-player title, it is much more entertaining when you are playing with friends. The combat in the game is basically a one or two button smasher and there are some great boss fights along the way which do provide some challenges for the more experienced gamer. In terms of combat, I love how the developers have included various spells from the novels which work great against both your enemies and the environment. As you defeat enemies, smash LEGO blocks apart, you also need to collect coins which allows you to purchase additional items before and after missions. This is done at Diagon Alley and it even allows for some fun addons for your characters, such as costumes and spells. At Diagon Alley or The Leaky Cauldron, this is also used as a store to purchase things and access other gameplay modes such as "Free Play", "Bonus Stages" and "Level Builder". If you feel like a break, between missions, you can explore other parts of Hogwarts and there are so many secrets and secret areas in this game, you can easily get another play or two out of this game. The world is almost too big for its own good... except if your a Potter fan. This is the cutest gaming moment ever! The biggest issue with this game however is the AI and when you're playing in single-player, sometimes they just stand around when your trying to get them to stand on a lever or do some other key puzzle interaction. It's a little frustrating and it's a bit of a shame that the developers have not resolved this issue from previous games. In terms of online, it would also be nice if there was online multiplayer as well because this would bring this franchise to the next level. Thankfully local co-op is just as fun because friends can pop into the game anytime they like which is great if your AI friends are giving you grief. Graphically, this is a very impressive looking LEGO title and dare I say, easily one of the best due to the amount of Harry Potter references. 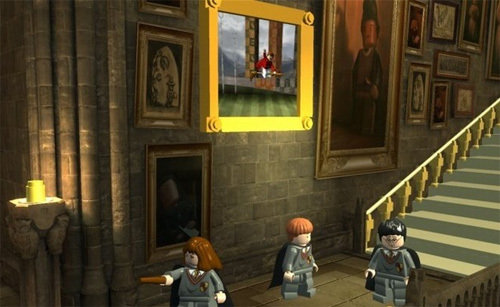 From Hogwarts to the various student houses and even outside of Hogwarts such as Diagon alley, everything has been flawlessly implemented into this LEGO world. The characters, albeit simplistic look like their movie or book counterparts and when you see Harry or Draco Malfoy, they are quite distinguishable. The sound effects and LEGO talk is fun as is the ambient and forever changing soundtrack which goes hand in hand with this universe of spells and wonder. Finally, a Harry Potter game that really gives J.K. Rowling fan service! The game may not have changed much since other LEGO games and the AI is at times buggy but when it comes to a creative world, this game has it all. It's definitely aimed at the younger player but older gamers will still get a kick or two out of it. Recommended for the entire family!